Our 1:1 NLP Business Master Practitioner training takes your skills further and gives you the confidence to handle anything that your business faces. As a result, you’ll use your skills without thinking as you become a talented and natural communicator and strategist. These sessions concentrate on using NLP within a business environment. We also offer conversion courses for existing NLP Master Practitioners. Developing your own NLP business adventure. Our 1:1 NLP Business Master Practitioner training starts with three unique and invaluable no-commitment 45-minute discovery/objective-setting sessions. These are for any potential client, whatever experience you may have, and they are a great way to clarify what will make the training really useful for you. They are also a chance to check if the rapport between you and the trainer is going to work. We offer this programme face-to-face in the UK or by Skype in the UK and worldwide. The options are flexible enough to suit our clients’ busy schedules. 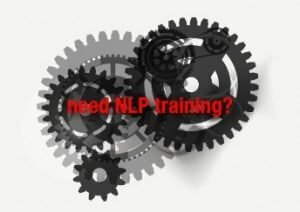 Discover NLP training for yourself – free of charge. Who is NLP Business Master Practitioner training for? This training is for anyone who has completed a Business Practitioner course, and who wants to go further to get the very best out of their business lives. As with all our NLP programmes, you’ll get the most value if you are prepared to display at least a touch of ambition, courage, openness and discipline. Once we’ve agreed your objectives, we have a shared goal of helping you achieve them. Objective setting is an iterative process and some of your goals are bound to change throughout the programme. What is NLP Business Master Practitioner training? NLP Business Master Practitioner training teaches you how to build upon your NLP Practioner foundation to become a more successful business person. You will focus on a number of business-specific areas, but in greater depth than at Practitioner level. As part of the training, you will try out and review a number of approaches and tasks in your business life. Thus, you’ll be continually testing and applying what you learn.At the end of this advanced training, you will become a certified NLP Business Master Practitioner. Business NLP Business Master Practitioner training is for existing Business Practitioners only. The sessions are normally 2 hours every 2 weeks over 8 months, plus workshops. The total cost is £2800, and furthermore, you can pay in instalments of £350 a month. We also do conversion courses for existing Master Practitioners. These are normally one 2 hour session every 2 weeks over 3 months, plus workshops. The cost for a conversion course is £1200, and there is an option to pay in instalments of £400 a month. 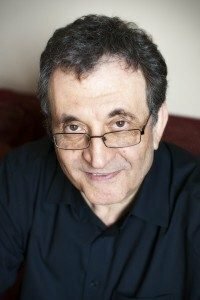 At the end of the training, you will receive a certificate signed by Michael Beale and Richard Bandler, confirming your status as an NLP Business Master Practitioner. The training is accredited by NLP Co-Creator Richard Bandler and The Society of Neuro-Linguistic Programming™ (SNLP). The NLP Business Master Practioner training programme content depends upon your own particular circumstances and needs. Therefore, we design the course differently each time. We explore how you can improve your communication and influence with yourself and others. This will be focused on helping you move forward to achieve your short and longer term goals. You will complete modelling projects in your focus areas. Most of the learning from NLP training is through experience, but we have a framework to support you. You can read more about NLP and how you can benefit from it in our free NLP Practitioner training guide PDF. What can you do after NLP Business Master Practitioner? You can take your NLP expertise further with our other NLP training. We offer training in NLP Coach Practitioner for Master Practitioners who want to become NLP coaches and run successful coaching practices. We offer specialist modules in leadership, setting up a business, sales, coaching, networking, stakeholder management and hypnosis for motivation and influence. Please ask for details. We’ve found that senior leaders and teams benefit from Marshall Goldsmith’s Stakeholder Centered Coaching. We can include this as part of our NLP programmes or as a stand alone programme. Why choose us for NLP Training? Book your first 45 minute, no charge, session in Michael’s diary. We’re only interested in offering the very best training. You only commitment is to pay monthly in advance, you can cancel at any time (no one has done this yet). In addition, we give you two extra sessions – free – after your training has finished. You may use these in any way you wish. His clients come from all over the world. His mission is to help great professionals on their adventure to become more successful and fulfilled.